This entry was posted on September 4, 2013 by admin. 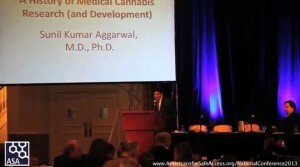 Sunil Kumar Aggarwal (M.D, 2010, Ph.D., Medical Geography, 2008) is a graduate of University of Washington's NIH-supported Medical Scientist Training Program and an Associate Member of the New York Academy of Medicine. He completed his internship in Internal Medicine at Virginia Mason Medical Center in Seattle and is currently a Resident at the NYU Rusk Institute of Rehabilitation Medicine.